I have to apologize for being MIA this week, my household is sick sick sick! I know that its a rough year for cold and flu, and I'm not complaining because we could have it much worse. 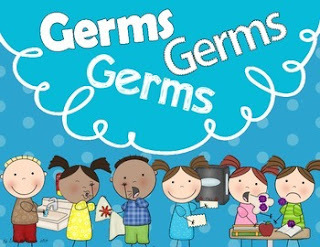 I did want to take a quick minute to share a resource that might be helpful if you're fighting the germs with your students. Please take a minute to check out my hand washing visuals to help build those healthy routines!